Hilo is home to one of the world’s largest and most genetically diverse pineapple collections. “The collection is managed by USDA’s Agricultural Research Service (ARS) on 33 acres of land in Hilo as part of the agency’s National Clonal Germplasm Repository for Tropical Fruit and Nut Crops. “Maxillarias for Hawaii Gardens” is the topic of a presentation by Karen Kimmerle at the next meeting of the Kona Daifukuji Orchid Club 7 p.m. October 11. A potluck starts off the meeting and guests are invited to participate at the Daifukuji Soto Mission Hall. “Maxillaria orchids are diverse and interesting in both flowers and foliage,” says Kimmerle, co-owner of Sun Orchids in Hilo. Her presentation will look at the many Maxillaria species suitable for growing in Hawaii while sharing tips on their care. Kimmerle will also offer plants for sale. 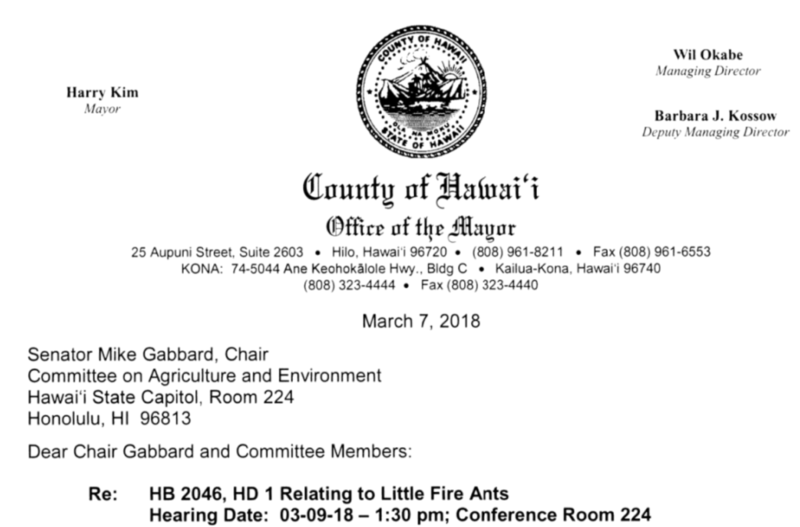 The U.S. Environmental Protection Agency has awarded $332,000 to the Hawaii Department of Agriculture (HDOA) to support its pesticide regulatory program. Evaluates pesticides licensed in the State of Hawaii for their potential to contaminate groundwater resources. The EPA’s Pacific Southwest Region (Region 9) administers and enforces federal environmental laws in Arizona, California, Hawaii, Nevada, the Pacific Islands and 148 tribal nations — home to 50 million people. For more information on pesticides please visit: https://www.epa.gov/pesticides. Bishop Akao, Tiera Arakawa, Joshua Arizumi, Joshua Boranian, Edward Bufil, Pomaika`i Cathcart, Vincent Chang, Gema Cobian Gutierrez, Lexi Dalmacio, Alexandra Doi, Jesse Felts, Brandon Field, Kawaikapuokalani Genovia, Christian Grostick, Clarissa Guerrero, Johnny Jaime, Erin Kurdelmeyer, Jaylin Millan, Kassie-Lynn Miyataki, Kari Olson, Eissas Ouk, Nathan Pallett, Michael Pamatat, Maria Parker, Wesley Piena, Faamanu Puaina, Jacque Raymond, Connor Rhyno, Kaitlyn Rieber, Romance Romero, Salvatore Satullo, Kuupomaikai Stevens, Mark Tanouye, Emma Tiffan, and Jodie Van Cleave.